Hi lovelies! How are you? I've started studying again and it's so hard because here in Sicily it's extremely hot! Today I want to show you an Outfit that I wore yesterday evening to go out with my boyfriend; I've decide to rock neon trend in a simply way, just a fluo bandeau and a pair of earrings. My favourite items are the Zara tee and the Oasap spiky necklace, they're both so cool! I've been wearing this necklace a lot, it's really versatile ( and inexpensive too! ) because the spikes are both silver and gold. The tee, as you can see is really original,the cut-out detail makes it amazing, it's really long and you can wair with a bandeau skirt too, I have to try! Do you like my look? Let me know with a comment!! Buongiorno! Come va? Io ho ricominciato a studiare, è davvero dura, il caldo qui in Sicilia è davvero insopportabile! Oggi voglio mostrarvi un look che ho indossato ieri sera per una passeggiata con il mio ragazzo; Ho optato per look semplice con giusto un pizzico di neon dato dagli orecchini e una fascia giallo fluo. I miei pezzi preferiti del look sono senza dubbio la t-shirt di Zara e la collana Oasap che sto indossando spesso perchè gli spuntoni sono sia in color oro che color argento, è molto versatile ( anche molto economica! ) e quindi facilmente abbinabile. La t-shirt, come potete notare, è davvero molto originale, il dettaglio intagliato nella schiena la rende molto particolare,è molto larga e lunga e personalmente la indosserei anche con una gonna stretta creando un perfetto equilibrio di volumi. Allora, vi piace il mio look? Fatemi sapere con un commento! Hot is better than constant rain over here but I can see how difficult it will be to study when the weather is that hot. the back of the tee is very cool and I like this whole outfit. very casual chic and the pop of neon. Beh, te lo devo dire...nella prima foto sei semplicemente strepitosa ! Adoro i tocchi di neon qua e là! Oh, grazie mille!! 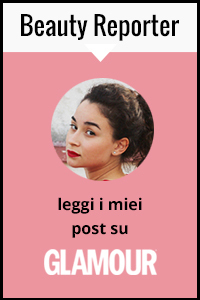 Sei davvero gentilissima!! :) bacioni! Gorgeous look - the earrings are fantastic! ti va di guardare il mio nuovo outfit? mi piacerebbe avere un tuo parere..
Complimenti la maglia è veramente stupenda! Thank for commenting on our blog! Were your newest followers through GFC. I love that it looks like a normal, casual, outfit and then when you turn around it's dramatic. Perfect outfit for date night! That top is so cute. And your hair totally rocks! Love this outfit! Your earring are fantastic! And you are so beautiful! Loving your accessories and great top !! Ciao Giulia, bellissimi gli orecchini:) E bellissima tu:) Un bacio! Amazing outfit, and you're so pretty ! I really like your blog, would you like to follow each other ? I absolutely love your style and your hair! Very pretty :D Love how you have some neon colors peeking through, I think it completes your whole look nicely! I will definitely start following you. Hope you have a wonderful week! mi piace tantissimo il tuo blog, complimenti! Outfit spettacolare e hai dei capelli troppo belli! hi honey! i just found your blog today and i think is super cute! love your write! :) congrats!